"best Accounting Software in Low Cost on Cloud"
This ERP Software is optimum for the use of our organization and its Account solution is the most suitable section of it. It is low cost, integrates with quickbooks seamlessly. The support from the company is always present and problems are resolved in a reasonable time. Suscription based pricing is a good thing but causes problem for our organization, as some times we only use a few sections of the whole software and every month the company has to decide which section will be needed next month in order to meet the budget. Best Accounting software, easily integrated with other accounting softwares, saves a lot of time and makes employees more effective in reporting. Overall the software is good. We are quite satisfied with the performance. It is solving the Finance relation time consuming problems which a lot less time after its integration in our business. As long as there is a local backup data exported every day the company might not have any problems. "Best Custom ERP Software for Small Business"
It is a cloud based ERP Software, which means I can access it anytime and anywhere and have an updated report on the activities that have been going on at site. Most importantly as said by the company, this software is very flexible and is customizable enough to call it a custom built ERP Solution. Which held true for our company. We had it customized for us completely and it fits right in with our organizational needs. The thing about liking least is quite difficult due to software being completely customized to our needs, however the lack of internet while traveling to some remote areas might cause issues as there is no native app that runs offline and all the data is on cloud so it needs update through cloud. however daily export facility is there but if you dont have internet for a longer period its a problem then. It is a great product and if you are in the market for completely customized ERP Software then, this is your best option. and It being a cloud based software doe not cost a company the hassle of installation over and over again. Overall we have had great productivity through the use of this software, it was cost effective and was easily integrated. All the third party APIs from amazon ebay etc were easily integrated and Quickbooks integration is quite easy as well. "Custom Built & Quickly integrated ERP Solution"
So far we have not come across something we don’t like, however the small thing we can say might bother our employees is some of the information overload. As they get a lot of information on the dashboard and sometimes it confuses them. This software is quite user friendly and is malleable to the requirements of the organization. Overall experience of ERP gold for us was amazing. It has features that can be subscribed seperately it is low in cost it. The support is always there when needed. They are the best ERP Solution providers for us. "Custom Email Marketing and Low Cost"
for me there was not much of a con in this as I only used the module that was suitable for me. And other features are present but the few I used did their work. It is a great solution charging module wise and user wise, so you don't have to pay for what you don't use. Most importantly you can get full access for 90 days free which helps you understand what modules to keep and what not to use. The overall experience of this software is good. The user can use what they want to and leave out the clutter and have a customized solution for their needs. "Low Cost ERP Software Pricing of a cloud based system and charges according to what you use"
The pricing method of this ERP Software is great, they are low cost and only charge you for what feature you use. On top of that they offer a 90 days free trial with full access which helped us a lot in gathering information on what features we need and which wont be as much of use to our organization. The front dashboard sometimes clutters up, we need to get that edited so that some information previously thought was relevant, is no longer needed on the front screen. It is a very cost effective solution that helps minimize the expenses on the software and saves a lot of time with the functionality. Overall this cost us pretty reasonable and we did research other software in the market but unfortunately they did not match what we needed Therefore the problem resolution is the cost effectiveness of the software. "Easy Inventory Management Software in a Cloud Based ERP Software"
The Inventory management is of the utmost important to our organization due to various chains of products and their variants. Therefore we needed a solution that was cost effective and did not require a lot of time integrating into our systems. Therefore ERP Gold being a cloud based ERP Software provided us a lot of other options along with the Inventory management. Which made our employees more efficient and effective. Sometimes it is a lot information to handle at the same time as there are so many modules we are using. It gets overwhelming for the management staff if there is a lot of workload. Great ERP Solution, Must Try. Overall this software has created more opportunities for us, by generation of leads being automated. Reminders and followups are quite easy too with the email marketing. It is a pretty good software solution. "Point of sale and easy order management"
This Software is quite interesting, it helps our company a lot with its features and feature based analysis. It has provided us a Point of sale and an easy order management system which helps us control the outflow of goods with ease and track everything efficiently. The software not being offline is sometimes a bother, Because of human error sometimes data is not extracted some day and there is no offline presence of that 1 days data. otherwise it is great platform. It has the value required to run our business efficiently. The product is very helpful in reporting and managing processes. Overall this software helps us immensely with its analysis features and management processes are made easy as we can see all the stats we need in one dashboard and compare to assess what steps we should take next. 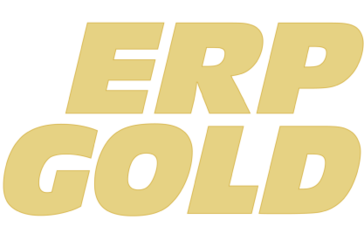 * We monitor all ERP Gold reviews to prevent fraudulent reviews and keep review quality high. We do not post reviews by company employees or direct competitors. Validated reviews require the user to submit a screenshot of the product containing their user ID, in order to verify a user is an actual user of the product. Hi there! Are you looking to implement a solution like ERP Gold?